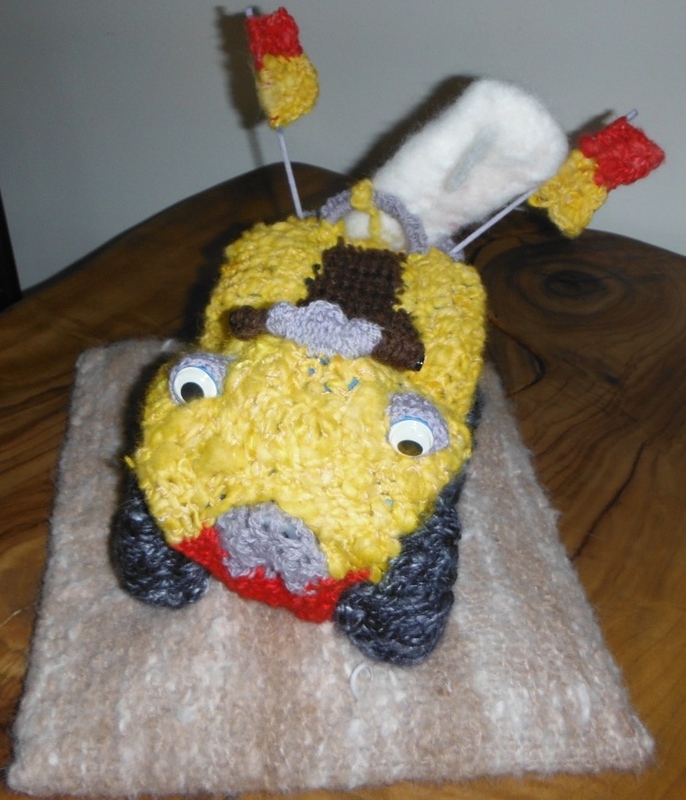 Here is a little fun piece as a table centre for our Gathering in 2016. 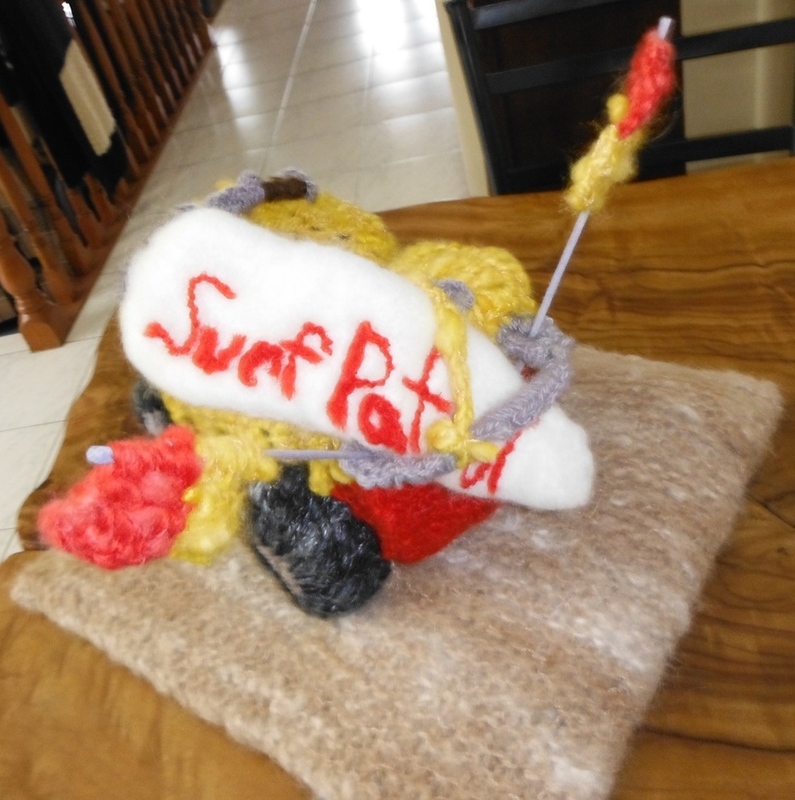 A little buggy covered in crochet, a needle felted surfboard with surf patrol and Life Savers flags on the knitted sand. The handlebars move and the eyes will look at you. This little buggy has a mind of its own. (This seems to be an item that someone with too much time on their hands would make). Lots of fun. By Lyn A.